Managing your budget effectively is essential for success when running ads online. There are billions of people online. Without effective targeting and budgeting, a good message may be wasted on the wrong audience. Google Ads is testing a new feature that will help advertisers plan out their budget in a way that generates the best results. The feature is still in the testing phase, but from is known, it will help marketers decide how much budget is needed to produce results in an ad campaign. 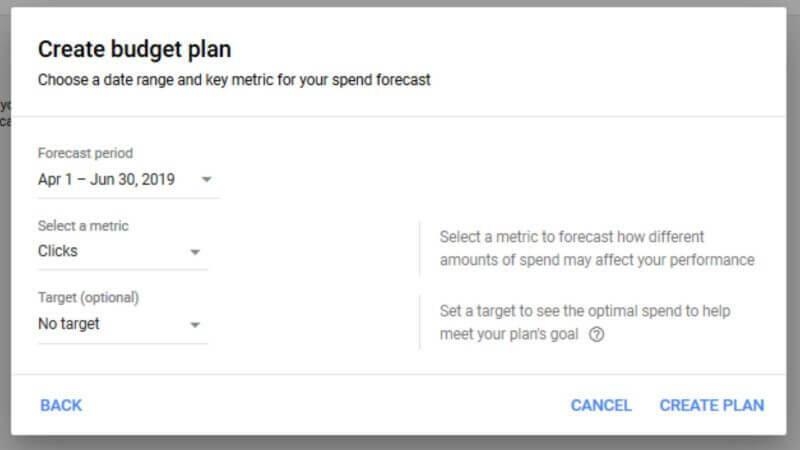 The user selects the time frame, the metric and an optional target goal, and Google will provide a budget planner forecast. Once you have the forecast chart, you can play with the settings to see how you can improve your plan. Your initial settings will be in blue, and you can see another chart in gray which shows how different settings will change the expected results. You will also be able to compare your existing settings to your historical ad performance, which should help marketers continually improve their campaigns. The budget planner feature is still in the testing phase, though it is being used live for some Google Ads account users. If the feature proves to be useful, it will be rolled out to other accounts after an official announcement. Another recently added feature to Google Ads will help game and app developers segment their audiences in a way that increases monetization. Many apps generate funds by offering the app for free, then making money on ads and microtransactions. Google Ads new segmenting tool will make it easier to serve content to game and app users based on how likely they are to buy. According to data from Google, only 4 percent of players make in-app purchases on games. Most developers make up the difference by showing more ads, but there’s a risk that the 4 percent of paying customers could be put off by all the ad saturation needed for the non-paying players. The new segmenting tool allows you to balance the ads seen by the two groups. While this update seems to apply only to games, for now, there’s no reason why a similar technique wouldn’t work for any app that uses a mixture of in-app purchases and ads to make money. For more recent news from Google Ads, read this article on the recently launched visual ads on Google Images.